Ordinary days, Enoshima Aquarium open 9am to 5pm. 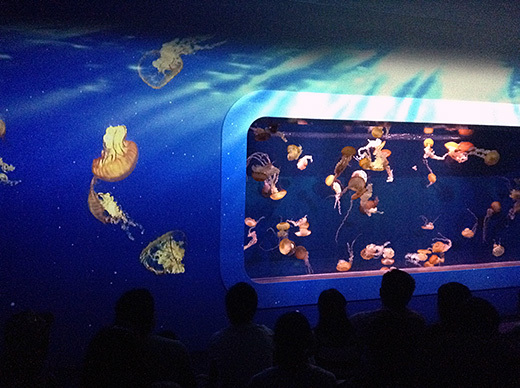 Now they’re holding a special program named “Night Aquarium”, closing time is extending until 8pm. 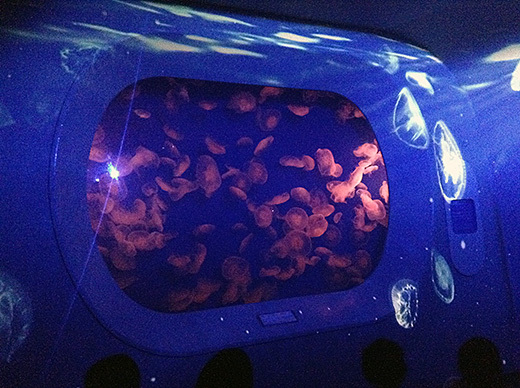 Huge fish tank and jellyfish hall collaborate with beautiful 3D projection mapping movie and music. 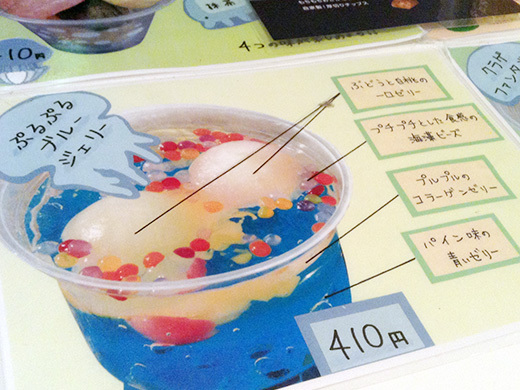 These are outstanding, BUT it’s too crowded on weekends. We escaped away from the crowd to have some cute snacks. 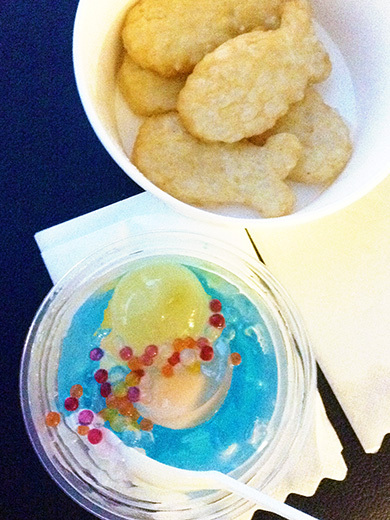 We had “jiggly blue jelly” and “fish nuggets”. Both of these were fun to eat.